This former canon residence dates from the 13th century. 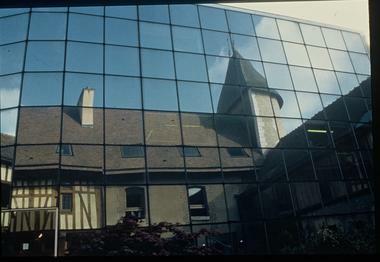 It was then called the Hôtel de la Montée, because the grand entrance was located on the Montée Saint-Pierre. 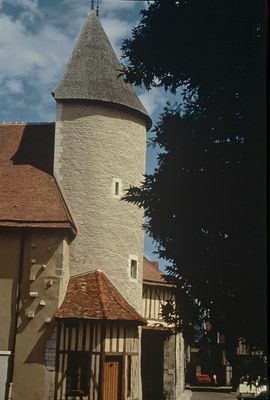 The turret, rebuilt in 1989 during the building's refurbishment, sits on the last vestiges of the rampart, which can be seen on the right.At its base, the little Maison des Trois-Pierres, dating from 1753, was a cobbler's stall for a long time.Another turret rises at the corner of the Montée Saint-Pierre whose plan is traced on the street's paving stones. A third turret, called the Chapitre, located on the corner of the rue de l'Évêché, was demolished in the 19th century. still has its beams with sculpted ends of figurines and polychrome escutcheons ; the one on the right is most likely from the 18th century. In the centre, the octagonal well, built based on plans from the 16th century, has a system of triple pulleys with iron posts. humanist Guillaume Budé ; Bishop Odard Hennequin, chaplain of King François the 1st and, in the 17th century, of Field Marshal Charles de Choiseul-Praslin, governor of Champagne. The « Hôtel du Petit Louvre » is located near a university center, the Cathedral and the nice requalified quay of the Seine. 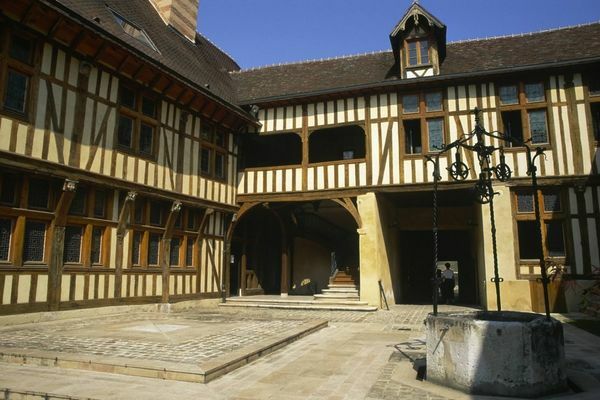 Dating from 13th century, the « Petit Louvre » is an older canon house and is recognizable thanks to its turret and its 16th timbered facade. In 1900, it becomes the « hostellerie du Petit Louvre » with a very famous gastronomy. 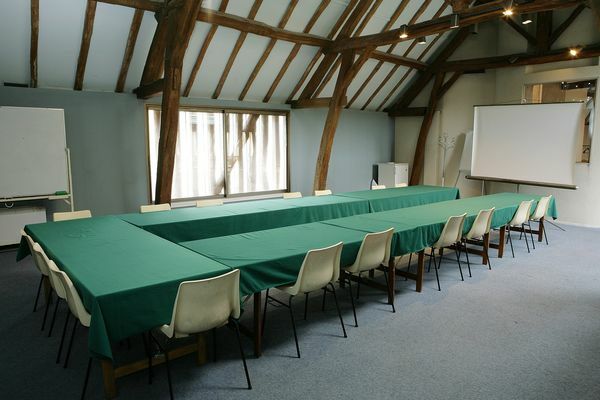 Today, it includes a meeting room and a amphitheater.